People who are vulnerable during extreme heat events are advised to register with the Red Cross Telecross REDi service before summer. are recovering from an illness or accident. 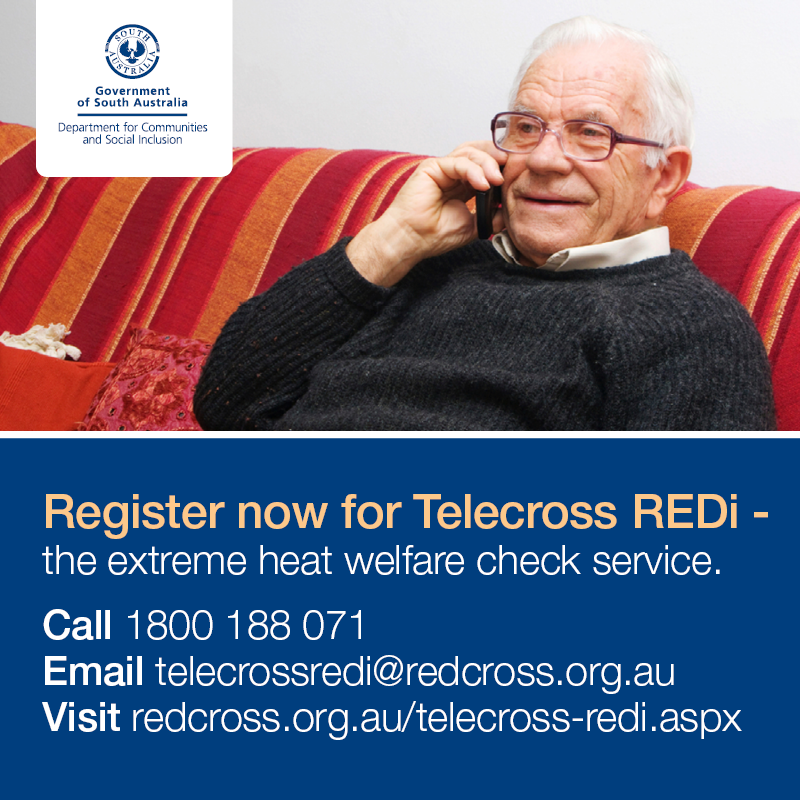 Telecross REDi is activated by the State Government during periods of very hot weather. Trained Red Cross volunteers phone registered clients to check on how they are coping and provide information on support services if needed. You or your representative can register for this service.